The inspirational donuts in question came from The Holy Donut in Portland, Maine, where they were on a family vacation. Cramer admits that she didn't even prefer donuts before trying these "perfect" donuts. But after a few bites, she was convinced. "We don't want to just be a donut shop," says Cramer. 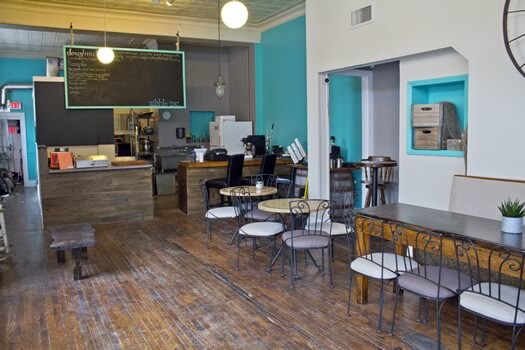 "We want to be an organic donut shop, and a gourmet donut shop." you using liquor in the doughnut toppings. 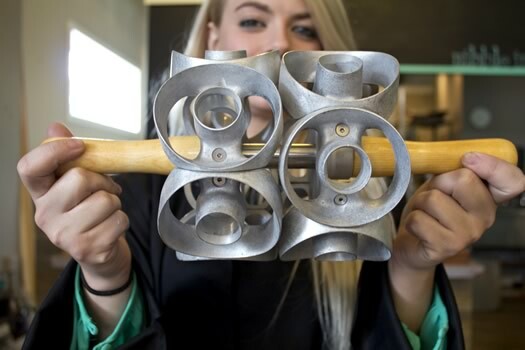 There will also be gluten-free options that are cooked using a separate fryer. Both Cramer and Cunningham have experience in food service but, as Cunningham puts it, "We went from zero to donut shop in days." Cramer's parents were equally inspired and wanted to support the duo in whatever way possible. The entire venture has been completely driven by family support. Cunningham is dating Cramer's sister, Jacqueline Weaver, who will be managing the business finances. Cunningham's son spent the last parts of his summer vacation helping clean up the space. Cramer and Weaver's father is a general contractor who has spent nights and weekends preparing Nibble for opening. And their family has helped provide initial start-up funds for the business. As Cunningham says, "It's all in. Everybody's working." As for the question of spelling -- donut or doughnut* -- both emphatically agreed that it's doughnut. "Because we actually use dough in our doughnuts" says Cramer. 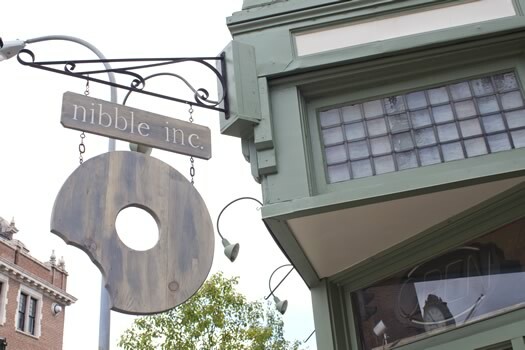 Nibble, Inc. is located at 461 Broadway in Troy, the former location of Francesca's. It will be open Monday through Friday 6 am-1 pm and Saturday 9 am-2 pm, or until they run out of donuts. This Saturday, September 27 is the shop's first day. I still remember the doughnut I had at that place in Portland, MN. Salted dark chocolate - still warm. I'm not a huge doughnut person, but it was AMAZING. Really looking forward to trying these. 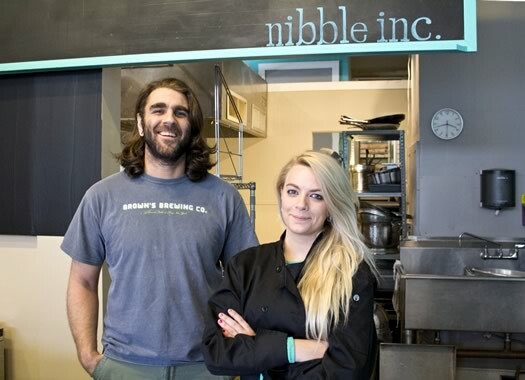 You could have picked any name in the world and you went with "Nibble Inc."?! That being said, I can't wait to try. It looks like they have a good-sized sitting area. Just was at Holy Donut on Wednesday. So good. Super excited for Nibble.